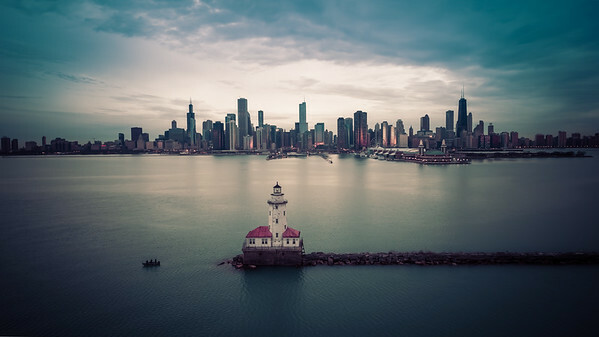 Last April when I was in Chicago I had a great time flying my quadcopter out over Lake Michigan. You cannot get this view without renting a helicopter to do so. Who wants to rent or fly in a helicopter? This was a great flight that I had a lot of fun sharing live on Facebook at the time. It is fun to see awesome things for myself, but it is even more fun to share those sights with others. I need to do this more often. Before I bought my quadcopter I saw a few famous people going live with their quadcopters. Those images and seeing how much fun a drone could be is a large part of why I bought mine. I liked the idea that you could stream from the drone, but I never thought that I would do it. I am not the on camera type of person. I would rather be behind the scenes somewhere. On days like this one though I had a lot of fun narrating this flight. This year I need to find some more interesting places to fly and share with those of you that follow me on Facebook.